Tradition and innovation provide the interlocking roots of bluegrass and its descendents, a lively dance of elements skipping comfortably from ancient jigs to radio ditties to spacious experimentation. THE INFAMOUS STRINGDUSTERS joyously embody and carry forward the spirit of Bill Monroe, John Hartford, Earl Scruggs, David Bromberg and other originators in their skilled embrace of this music’s twin gravitational pulls, moving dexterously between homespun legacy and creative expansion, a band firmly grounded in what has come before as they grow strong into tomorrow. GRAMMY-nominated The Infamous Stringdusters – Andy Hall (Dobro), Andy Falco (guitar), Jeremy Garrett (fiddle), Travis Book (double bass), and Pandolfi (banjo) – are as comfortable at a dirt road pickin’ session as they are on an amphitheatre stage, a collection of talents that can whisper and roar as the circumstance demands, responding in real time to their surroundings, working the angles as they ply their craft and raise their sinewy voices with limber grace. Equal parts old school cats and modern operators, the Stringdusters’ latest album, Ladies & Gentlemen (arriving February 5th on Compass Records) spotlights the band’s gift for incorporating guests into their world by rolling out the red carpet for an eclectic array of female singers lending their pipes to a dozen original Stringdusters compositions. Highlighting the group’s instrumental and compositional prowess, the new set opens up fresh spaces including the drum-boosted contemporary country bounce of “Listen” with airwave vet Joan Osborne, the classic Dolly Parton feel “See How Far You’ve Come” with Sara Watkins (Nickel Creek, Watkins Family Hour), the slow jam slink of “Have A Little Faith” with nu-soul belter Joss Stone, the contemporary folk breeze of “I Believe” with Lee Ann Womack, the rousing Americana soar of “Old Whiskey Bottle” with Celia Woodsmith, or the exhilarating style stew of “Hazosphere” with Jennifer Hartswick (Trey Anastasio Band). Elsewhere Mary Chapin Carpenter, Aofie O’Donovan (Crooked Still, Sometymes Why, The Goat Rodeo Sessions), Celia Woodsmith (Della Mae), Sarah Jarosz, Nicki Bluhm, Claire Lynch and Abigail Washburn weave their voices into one of the group’s strongest song cycles to date. Ladies & Gentlemen, the Stringdusters’ sixth full-length studio release, follows on the heels of Undercover, an EP of inspired cover tunes that reflect the variety of interests and influences in the Stringdusters, tapping the catalogs of Pink Floyd, Tom Petty, Bob Dylan, Johnny Cash and The Highwaymen. It’s another sign of the band’s desire to stretch and innovate even as they fully understand and honor the legacies they engage. 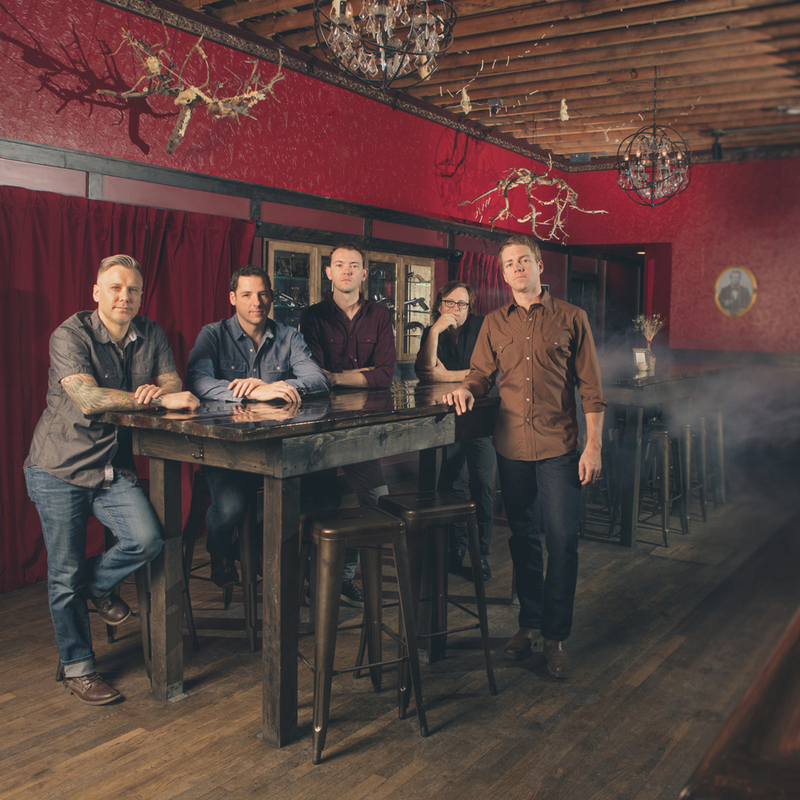 A resounding feeling of rock-ribbed authenticity and charming sincerity infuses every aspect of what the Stringdusters do.